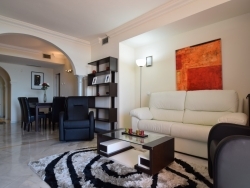 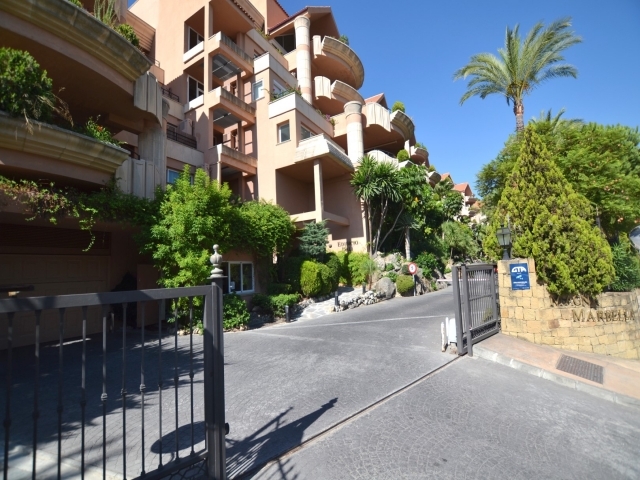 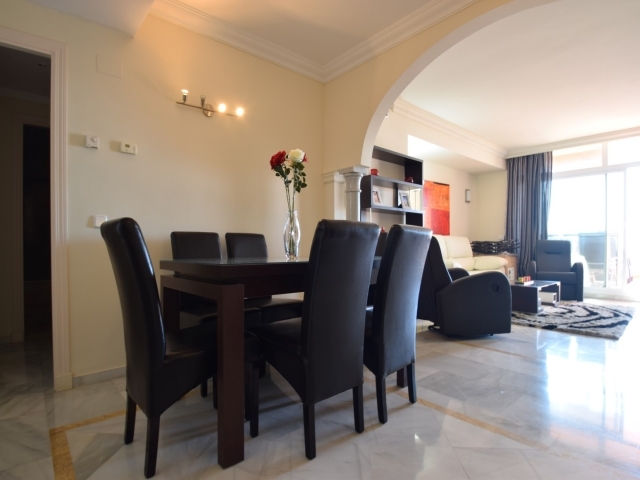 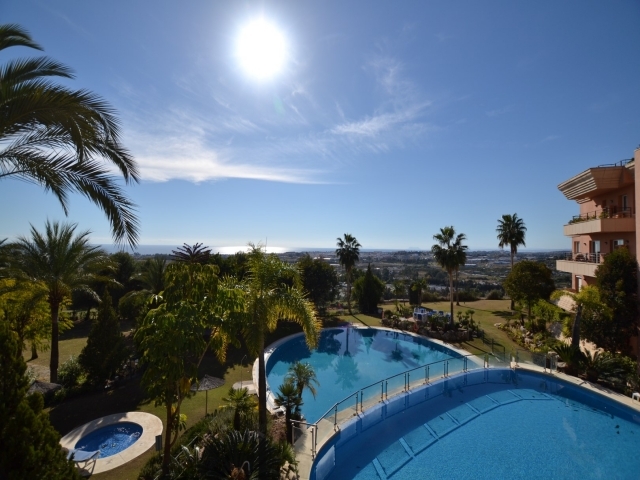 Lovely two bedroom apartment in the exclusive Magna Marbella complex, set in the heart of the Nueva Andalucía Golf Valley. 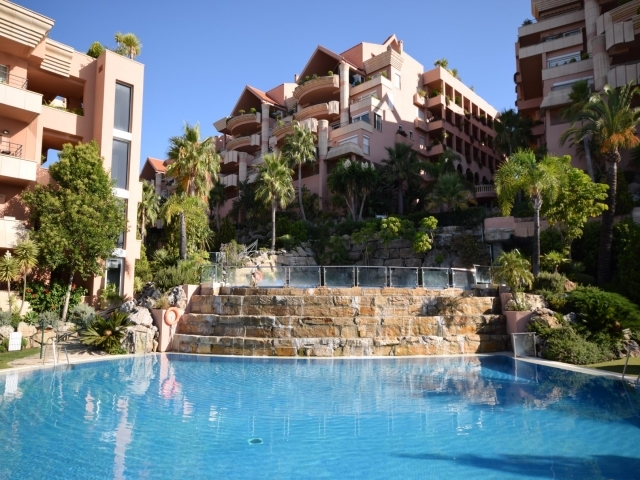 The complex offers 24 hour security and a range of facilities including beautiful communal swimming pool and garden areas, as well as a very popular restaurant. 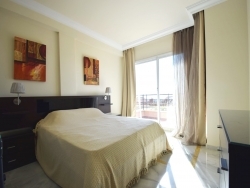 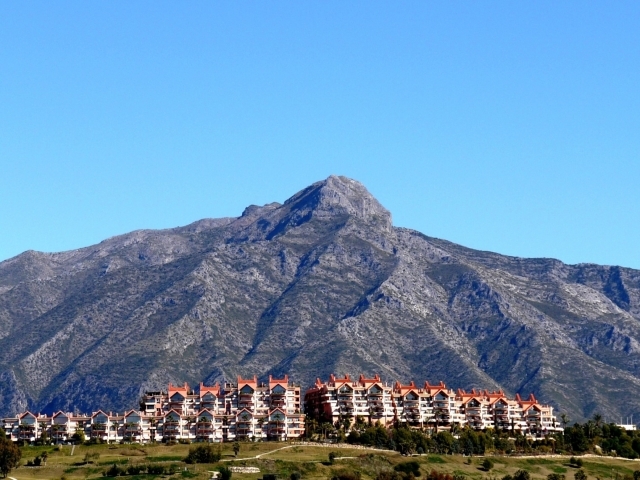 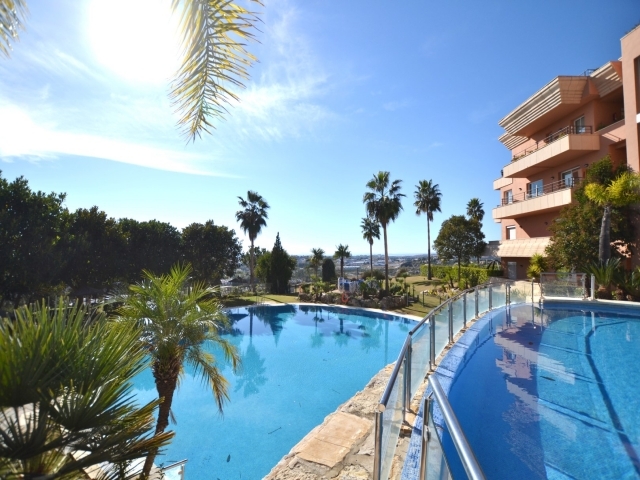 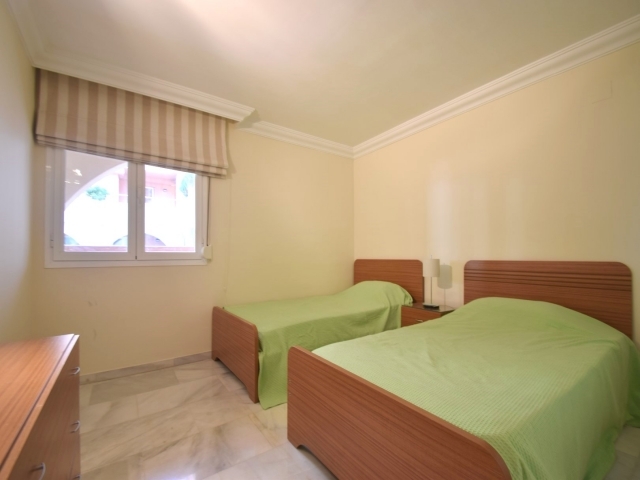 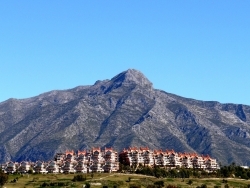 Fantastic location, close to a range of renowned golf courses and just a short drive to Puerto Banús and the beach. 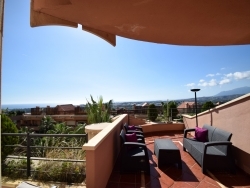 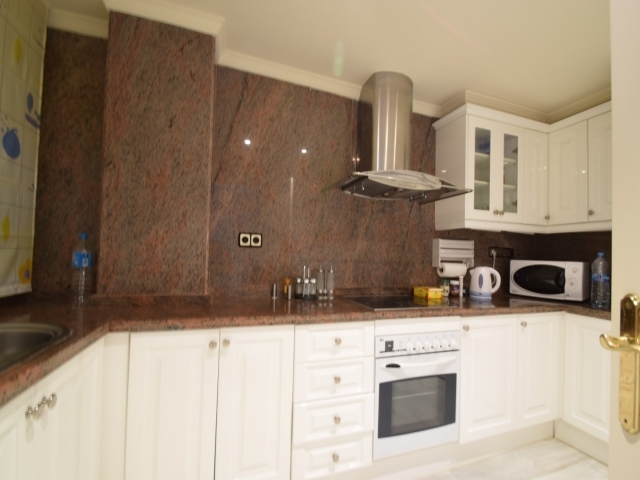 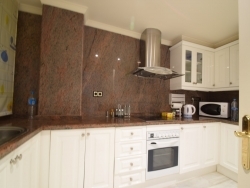 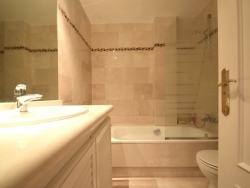 This two bedroom, two bathroom unit comprises an open-plan living and dining room with terrace access, a fully fitted kitchen, a master suite boasting direct terrace access and a good-sized second bedroom and bathroom. Stunning views towards the Mediterranean Sea can be enjoyed from the terrace.